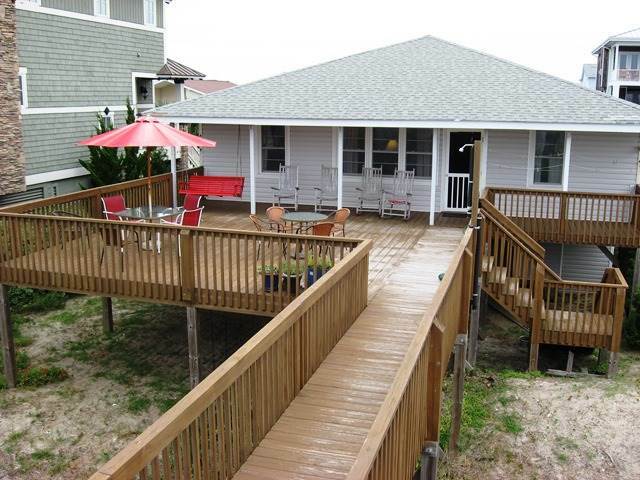 Relax and enjoy the ocean views on a good old fashion porch swing in this 4 bedroom 2 bath cottage. Ceiling fans in living room and bedrooms. Flat screen cable TV in Living room. DVD. Hardwood Floors. Private Outside Shower downstairs, Large Sundeck, Covered Porch and Gazebo. Internet access available. This property does not have a washer/dryer or a dishwasher.